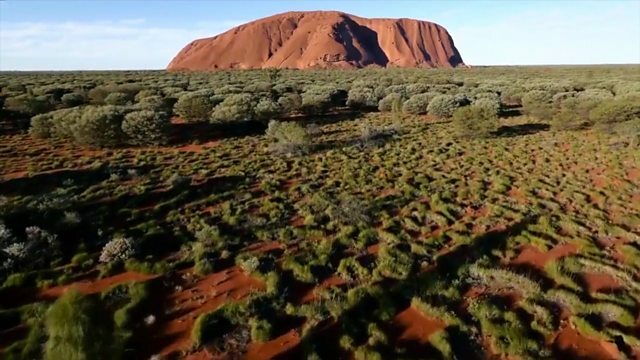 Henry Golding travels to Australia for a special episode from the Northern Territory, as we hear what the future holds for tourism at the county's most well-known monolith, Uluru. Henry Golding travels to Australia for a special episode from the Northern Territory. We hear what the future holds for tourism at the county's most well-known monolith, Uluru, as a ban on climbing it is set to come into force and we find out what it takes to work as a 'croc-wrangler' in one of Australia's most stunning national parks. Also, some of the last remaining hand-crafted globe makers reveal how they create their intricate designs and Ade Adepitan is back with news on what is trending in travel. Would you be a 'croc-wrangler'?